Bennetts Farms is a traditional family farming business in Worcestershire. Our main business is to produce milk from our pedigree herd of Holstein Freisan dairy cows. We operate two farms: Manor Farm Lower, Wick in Worcester and Hayswood Farm in Madresfield. In addition to producing milk we also rear a few of our calves for beef boxes and run a DIY livery yard at Hayswood Farm in Madresfield near Malvern. The farming business is a real family affair. The farm is now being run by the four and fifth generation, Christopher and his son Tristan who returned home to help with the farm in 2012. Christopher’s brother Duncan operates an ice cream business from the farm producing Bennetts Ice Cream at a factory on the site using the milk from the farm. 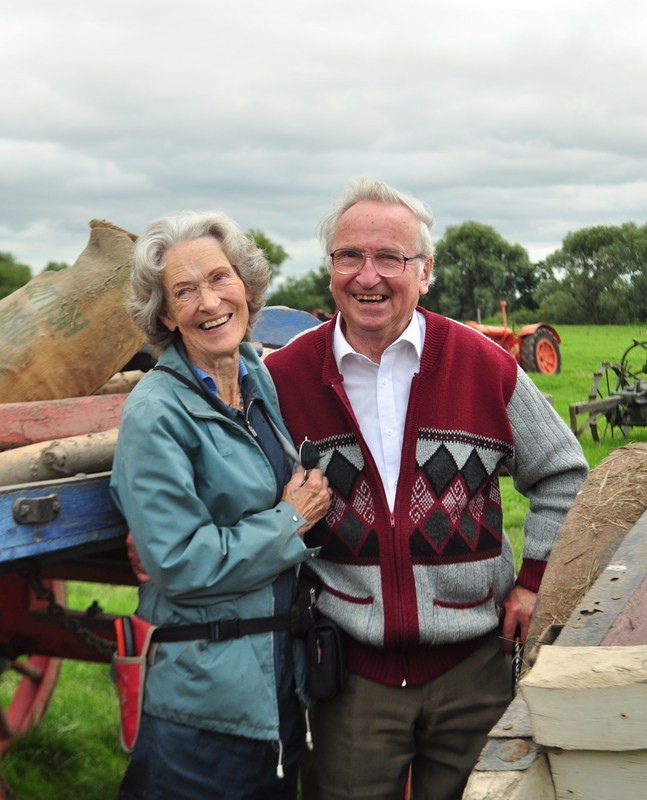 John and Ruth Bennett, soon to be great grand parents hung up their wellies a few years ago now, but still keep involved with the farm whilst enjoying their retirement. It was John Bennett’s grandfather, Robert Bennett who started the business. Robert was one of eight children from a smallholding in St Ives, Cornwall, but moved to the South East to support himself and began work in the dairy business. He soon started his own dairy business out of White Hart Lane in Tottenham whilst keeping cows in West Ham. After the war he decided to move his family away from the city and went to Worcestershire in 1918 where he purchased Manor Farm on the flood plains of the Rivers Severn and Teme. The family has been based here ever since.